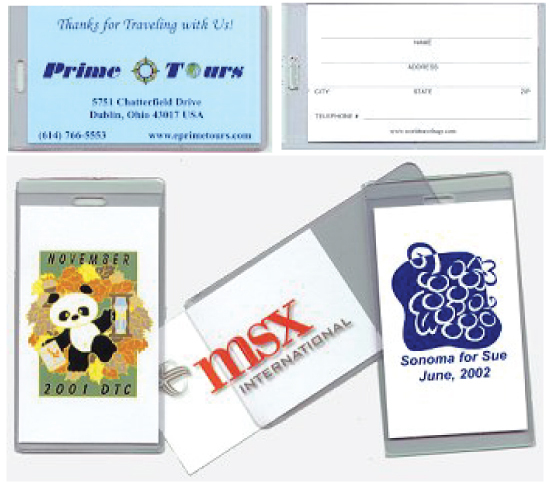 Constructed of clear rigid vinyl, this tag is not imprinted – but logo information is displayed by insertion into the pouch of a card that is imprinted on both sides. The front of the card exhibits the logo information and the other side of the card has blank spaces for writing in personal ID information. An included vinyl loop facilitates easy attachment to any suitcase or bag.